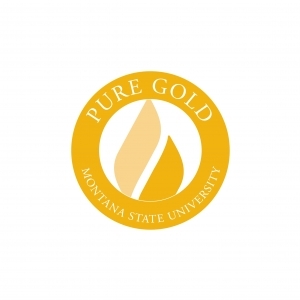 The Pure Gold program provides an opportunity to recognize Montana State University faculty, staff, students, alumni, and friends for their contributions to the university community. The program invites members of the MSU community to nominate deserving individuals to receive public recognition for their outstanding efforts on behalf of MSU. The nominees will have shown an ability to inspire others and enhance the strengths of the university. Whether it’s an individual act or a sustained effort of exemplary service, they are…Pure Gold. Nominations may be submitted by MSU faculty, staff, students, alumni and friends from all campuses through the Pure Gold Nomination Form. Please be sure to include a photo of the nominee. Staff or professional photos are preferred. Nominations will be valid for the entire semester. Each week, one nominee or one group nomination, will be selected as Pure Gold from our four campuses. Paper nomination forms will be made available to those employees who do not have access to a computer. All nominations must include a photo of the individual to be recognized and should be submitted by Thursday at noon to be considered for the following week’s selection. The Pure Gold program is meant to supplement, not replace, the annual Employee Recognition Awards.